Just because a product is available on the market, that doesn’t necessarily mean that it is any good for you. Thus is the case of MegaSlim, a short lived product that promised to kill hunger pangs and burn fat. Too bad for this product, that it’s ingredients would be it’s own downfall. MegaSlim wasn’t forthright about what it contained in it’s ingredient list. While it could help with weight loss, the Food and Drug Administration (FDA) found that what was included to be dangerous for human consumption. Below we will give you a breakdown on what this product was and what made it’s rise and fall so sudden. Before it was recalled, MegaSlim was manufactured by YouYoung International, a company that claims to be registered with the FDA. YouYoung International makes a variety of products, ranging from health and food enhancement products to diet pills. YouYoung International is located in Tarzana, California. 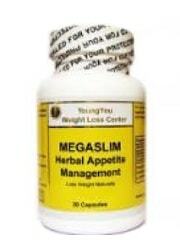 MegaSlim claimed to work by not only suppressing appetite, but burning fat as well. This is a common double wammy that diet pill companies use to lure potential buyers in; offer a product that is a two-in-one combo. In addition to this, the company also mentioned that it’s buyers should purchase it’s Liver Detox product, which would help make results more visible. This all of course, is included with a low calorie diet and exercise. There were positive reviews of this product, yet some of them were from users who solely reviewed this product and nothing else, which makes the validity of the review uncertain. Interspaced with these reviews were those also of people did not find this product as an effective form of weight loss. Although an ingredient list was included with MegaSlim, the company was not upfront about what it’s product contained. This is unlike diet pills on the top 10 list, and other reputable pills. Included with MegaSlim was 1,3 dimethylamine, which the FDA considers dangerous for human consumption. While included to help with weight loss, that didn’t mean that the ingredient was necessarily safe. It should also be noted that there was never an ingredient amount included on the label. Green tea: A common ingredient in weight loss supplements, this is used not only for the antioxidants that it contains, but for the metabolism boosting and mental clarifying effects that it causes. Garcinia cambogia extract: Although ranked in high regard by TV personalities such as Dr. Oz, this ingredient is not as effective with weight loss as is claimed. Aloe ferox: Similar to the aloe vera plant, this ingredient is used as a laxative. L-carnitine: Believed to help raise overall energy and endurance levels. Caralluma fimbriata extract: Claimed to be an appetite suppressant. 1,3 dimethylamine: Also known as DMAA, this has been identified as potentially dangerous by the FDA because this can cause cardiovascular problems, as well heighten blood pressure. If MegaSlim was bought on Amazon.com, no shipping was charged, as opposed to the diet pill’s official website. While not mentioned, MegaSlim contained DMAA, an ingredient which the FDA had found as dangerous for people to ingest. Once used for nasal congestion, DMAA has been linked to a rise in blood pressure and various cardiovascular problems that may even result in heart attack. It is because of this that in 2019 the FDA issued warning letters to companies with DMAA in their products telling them to recall. 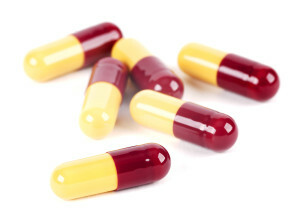 An example of this recall would be USPLabs and their products Jack3d and OxyElite Pro, which were recalled in July of 2019. USPLabs tried to counter this recall with studies of their own, but these were ultimately deemed to have insufficient data to prove that DMAA was safe. MegaSlim is but another example of this recall. The tactic that this company used in not mentioning the inclusion of DMAA is not unique to their product, but has been used by various other companies with a wide range of ingredients. In the end, it would be the inclusion of DMAA that would be this product’s downfall. 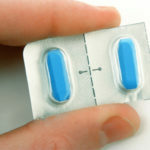 If anything, this is a lesson of what to be aware of when looking into diet pills. If you go to search MegaSlim now on an internet browser, one of the first results that will come up is the FDA’s decision to have the product recalled. There is no longer an official website for the diet pill. If anything, this is an example of what to watch out for when looking for better, more effective diet pills. 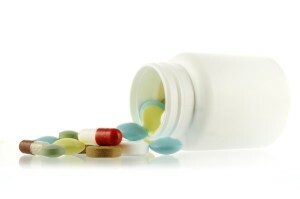 A diet pill shouldn’t hide it’s contents from the people who use it. We recommend looking into diet pills that are unlike this one.